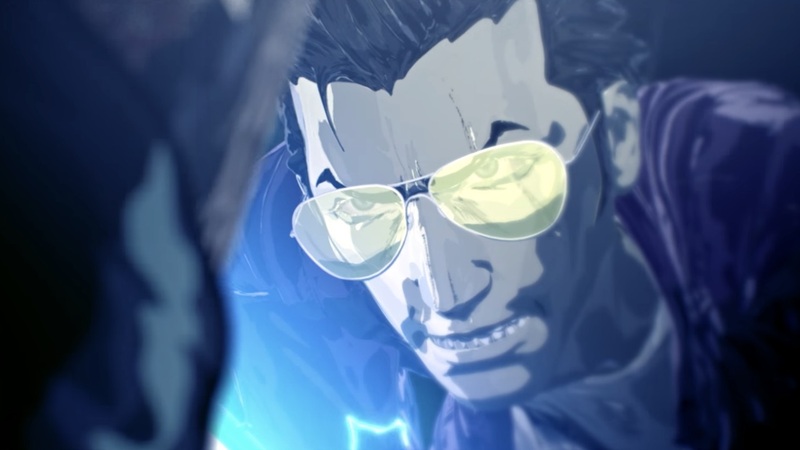 Weekly Famitsu has published their Travis Strikes Again: No More Heroes review within the Japanese gaming magazine’s illustrious pages this week, delivering the first verdict on the upcoming Nintendo Switch exclusive. That has seen their Cross Review, a panel that is comprised of four reviewers that each provides their own individual score, award the game with 33 out of a maximum possible score of 40 – which, broken down, saw it receive three 8 and one 9 scores. First Reviewer [8/10]: The world setting and the unique texts are just as expected from Mr. Goichi Suda’s works. It’s good that you can experience various genres as games within the game. There is also a rather surprising title among them, and it’s being made so that you’ll wonder how the next story development will be like. Other than easily enjoying co-op play, the T-shirt collaboration with indie games is also nice. However, since there are a lot of scenes that are developed with pulling-like screens, I felt the intensity is a bit lacking which is regrettable. Second Reviewer [8/10]: The top-view action, which forms the basis, has a rather simple hack-and-slash style gameplay feel. But each of the world that you visit has its own various presentations and gimmicks being prepared, and even the game genre would change, which is a surprising yet good spec. The appearances of unique bosses are still intact, so look forward to battling against them. It has an abundant humor filled with parodies, risky jokes and more from various titles, which ended up making me grin. Third Reviewer [9/10]: Although the action is focused on sweeping enemies away with the Beam Katana, the genre will change to Puzzle, Adventure, Racing, and more depending on the stage, so it’ll make you get excited every time. The action skills are also varied; it feels good to use them, and you can also have fun in thinking of combinations to prepare for boss battles. Homages to games and movies are scattered all over the places, which ends up making me grin. The visuals which are so senseful also made me numb. Fourth Reviewer [8/10]: I unexpectedly grinned when looking at the presentations filled in all places with the various coolness of video games from the years past. The creator’s fixations are directly conveyed through things including UI design, BGMs, and more. You can enjoy each genre like Action, Puzzle, and Text Adventure; such game story development is also unique and interesting. Although I’m a bit concerned by the play sensation which I feel like a bit too grindy, this title has a mysterious appeal that I cannot stop because I want to know the story’s continuation. Travis Strikes Again: No More Heroes will release exclusively for Nintendo Switch worldwide on January 18th, with a season pass priced at £8.99 (€9.99/$9.99).